The Jeub Family, September 2012. 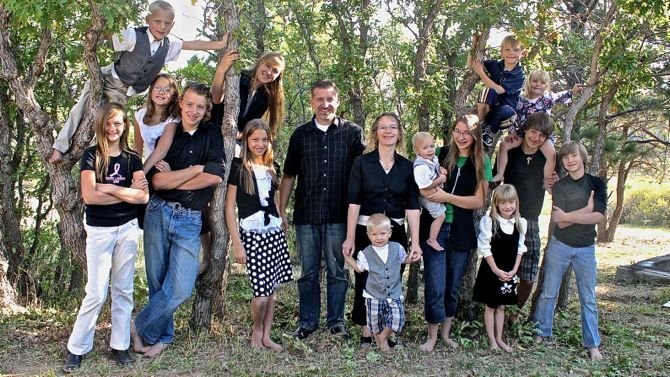 My wife, Wendy, and I have 16 children. We’re one of those “crazy big” families that appeared on TV. Our main show was Kids by the Dozen in 2007, but we’ve also appeared on WE-TV, CBS, Fox News and HuffPo Live. You’ve been redirected to this page from JeubFamily.com, which is now defunct. Wendy and I decided to shut down the website after several events that caused us to reconsider our public life. After a server crash that lost many of our old blog posts, we decided to pull the plug. We will likely return to the important issues that were gaining attention for several years, particularly that of large-family living and Love in the House. You may contact me any time through the dialogue on any post on ChrisJeub.com, or directly by email. May LOVE bless your home! The Jeub Family, September 2017. Our purpose is to encourage families to put love in the center of their family life. No exceptions. "The Jeubs don't do anything small. When they make a commitment they dive in an give their best. As the committed parents [of 16 children], Chris and Wendy have some wisdom that every parent needs to hear. The number of children we have is not what matters; knowing how to create an atmosphere of love and support to the children we have does matter. This family knows how to do that. I wish I had read [Love Another Child] 30 years ago. I would have been a better dad. I might have also had more children." "Chris and Wendy not only deserve the platform they've been given, they make great use of it, facing down the giants of fear, apathy and cultural coercion to shape their family the way God called them to shape it—in a word, LARGE!" 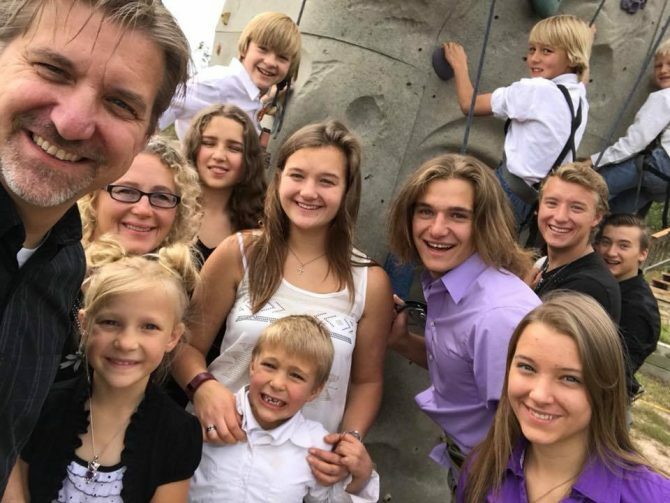 "The Jeubs are simply willing to let God's love and grace carry them through the journey of raising a large family." 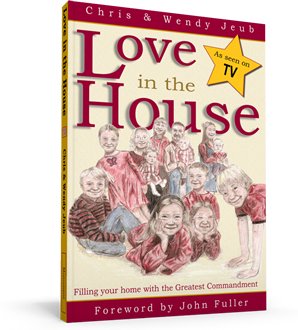 "The Jeubs remind us through their candid talk and insightful help what many have overlooked: Children are our priceless treasures." "Chris and Wendy are bold messengers of the truths about having children that modern society rejects. As a natural childbirth advocate, I also am glad for their voice for a healthy and normal view of childbirth."